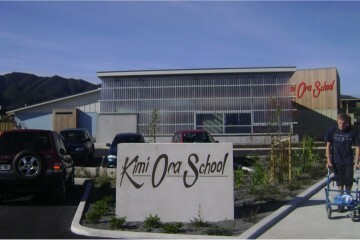 Kimi Ora’s base school is located on Walters Street in Naenae, Lower Hutt. It is positioned between Naenae Intermediate School and Naenae College. Our base school has students who all live in either Lower or Upper Hutt and the Kapiti Coast. 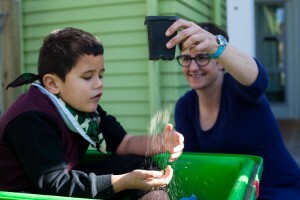 Kimi Ora Naenae, the base school, has been open since the start of 2011 and is a purpose made building that caters for the needs of all our students. Kimi Ora Base School has five classrooms that are each equipped with a tracking hoist system, an interactive whiteboard, a quiet space, large storage rooms, a computer area and a courtyard which opens out into the school playground. Kimi Ora base school also features a hydrotherapy complex, wheelchair accessible playgrounds, a state of the art sensory room, large therapy and meeting rooms, a sensory garden and small orchard. Students at Kimi Ora base school spend time with students at the neighbouring College and Intermediate schools as well as other vocational services in the area. At the beginning of 2017 a group of students moved to a Kimi Ora School classroom based at Laura Fergusson Trust http://www.lft.org.nz. This class is called “Weka Class”. The students in Weka Class have a holistic learning programme that incorporates all aspects of the New Zealand Curriculum and is enhanced through the real-life experiences and opportunities of being out in the community. This includes accessing the gym facilities, Laura Fergusson Trust cooking and craft groups, grocery shopping, work experience and learning to get out and about in the community as independently as possible. 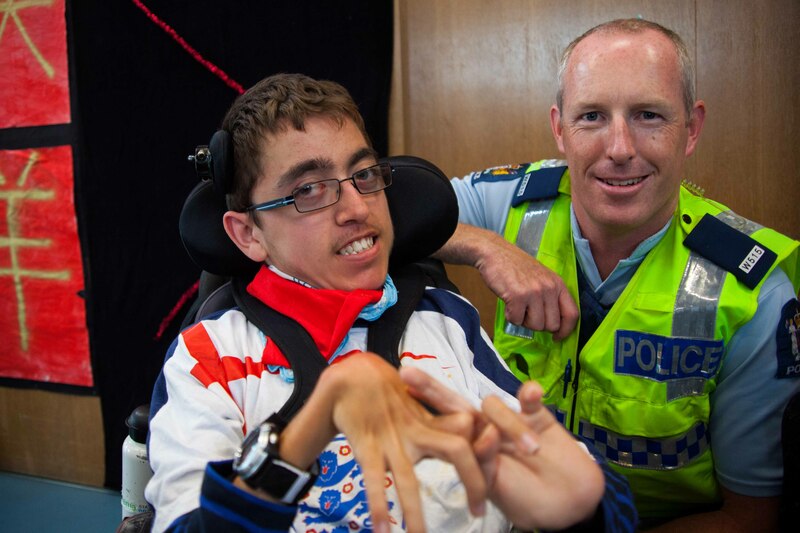 Students in Weka Class also spend time at the base school in Naenae where they access the Hydrotherapy Pool, join assemblies and special events. We are happy to answer any questions you may have about our school, please contact Shirley Jones (Principal) on (04) 567 5834 if you have any questions.